Campers, get your movie tickets ready and make sure you have one for week II, as Wings Summer Camp brings Movie Madness to the gym. 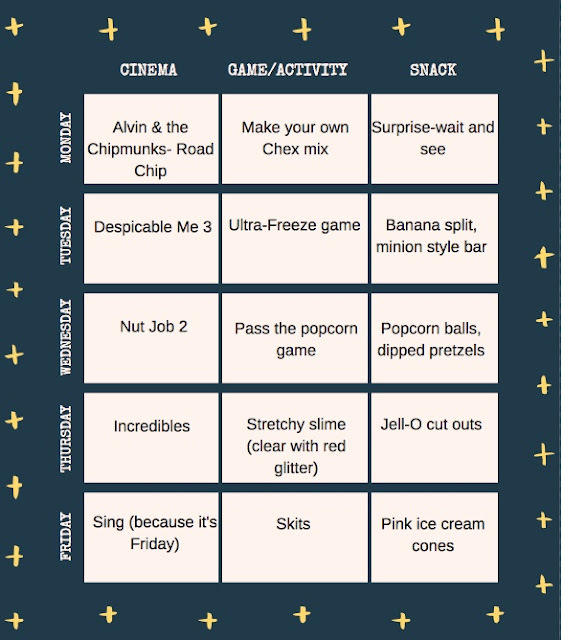 Your movie ticket includes a crazy game or activity and a cinema snack that is guaranteed to delighted everyone. For reserved seating call Wings Gymnastics Academy @ 605-271-8242 or visit our parent portal at https://app.iclasspro.com/parentportal/wingsgym/camps?camptype=69 to reserve your seat today.